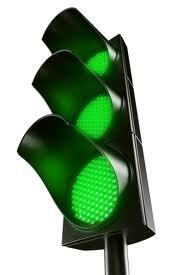 Beaconsfield signals have REDUCED traffic ??? Council’s traffic consultants PeopleTrans have completed a traffic study reviewing the impacts of the traffic signals at the intersection of Mowbray Road West/Beaconsfield Rd and reviewing the traffic changes for Mowbray Road proposed by Lane Cove Council in conjunction with redevelopment activity on their side of Mowbray Road. The consultants found that traffic volumes have all dropped on Beaconsfield Rd, Dalrymple Ave, Coolaroo Rd (east of Greenlands), Greenlands Rd and Goodchap Road since the signals were introduced. One of the key issues examined by the consultants was the issue of perceived increases in traffic on Dalrymple Avenue and Coolaroo Road since the signals at Mowbray Road/Beaconsfield Road were introduced. The consultants have found that banning right turns out of Beaconsfield Road “has not resulted in significant traffic increases in local roads to the north of Mowbray Road West”. The consultants also found that the signals had not resulted in an appreciable deterioration in traffic conditions on Mowbray Road West. The only notable increase in traffic has been identified as being on Coolaroo Road, west of Greenlands Avenue where there has been an increase in traffic of 35 vehicles (almost all in an eastbound direction). The consultant’s report goes to Council on Monday 1st September at 6 PM, Banksia Room, Level 6 in the Council Building, Victor St. You have the right to speak at this meeting. New State legislation makes dealing with trees on your property even more confusing. Make sure you get it right. If you don’t you could be fined tens of thousands of dollars. Traditionally, the legislation covering the removal of trees on your property has been the local Council’s Tree Preservation Order. More recently, new legislation (known as 10/50 Vegetation Clearing Code of Practice) has been enacted. In addition, your land may be covered the Native Vegetation Act or the Threatened Species Conservation Act. This new legislation makes the removal of trees and vegetation that much more complex. Get it wrong and you may pay (big time). The best advice is to confer with your local Council before cutting down any tree on your property. 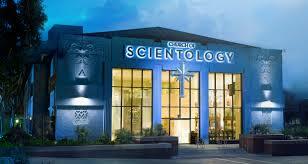 The Association has been contacted by a representative of the Church of Scientology (see below). We plan to arrange a meeting to hear about what is proposed. Watch this space for deatils. As you may be aware, the former Acoustics Laboratory building at 126 Greville Street, Chatswood West, was previously used as a commercial office premises associated with the National Acoustic Laboratory. It is our understanding that although there have been several proposals put forward to Council regarding the site’s future use, it continues to remain vacant. The Church of Scientology Australia (CSA) is now proposing to reactive the site and reuse the vacant building for its regional headquarters, which would include administrative, educational, and related Church activities. The CSA has prepared an initial design concept to adaptively reuse the building so as CSA can establish a suitable education and training facility. Continuing local resident access to the site’s grounds and the surrounding Bushland Reserve. As the planning concept and design evolves in the coming weeks, CSA have asked Urbis to independently invite feedback from the surrounding community and interested stakeholders to inform Development Application (DA) plans. As part of this consultation process, CSA have asked us to offer your group a briefing on the proposed development concept and consultation process and to receive initial feedback. Please do not hesitate to contact me on 8233 9968 or via return email to discuss the proposal and to organise a possible briefing time and date. Mowbray Public School will shortly be undergoing a major rebuilding program with a large portion of the existing school buildings being demolished and rebuilt. This rebuilding is likely to begin in term 4 of this year. The school currently has a roll of 380 students and enrolments for 2015 are in the order of 400 children. As a consequence of the building program, access to the school (during the building work) will be limited to a path that exits onto Hatfield Street at the eastern end of the school grounds. Under the current plans this will be the only form of access to the school and the Principal has raised concerns about potential pedestrian safety concerns given the student, parent and preschoolers movements to and from he school onto Hatfield Street and the associated traffic movements. In addition, many unrestricted parking spaces in the vicinity of Mowbray Public School are being used as all day parking for those involved in the construction of apartment buildings on the opposite side of Mowbray Road from the school. off / Pick up zone with high turnover of vehicles. One of the conditions of consent for the development at the school requires the developer to prepare and submit a Construction Traffic Management Plan. Although this plan has yet to be received, given that pedestrian access to the school during construction is to be restricted to Hatfield Street it is considered that a pedestrian crossing will almost certainly be required across Hatfield Street to provide for the safety of students. Consequently it is proposed that the developer be required to install a full pedestrian crossing with appropriate signage on Hatfield Street just north of the gate providing access to the school path (south of Farran Street). This crossing will be in place for the duration of the construction period (expected completion currently January 2016). Once works are completed ongoing approval for the crossing will be considered subject to compliance with the required warrants. 1. The Construction Traffic Management Plan (CTMP) for the Mowbray School expansion include a requirement for the introduction of a temporary pedestrian crossing on Hatfield Street. linemarking in accordance with RMS technical directives. 3. The longer term retention of the pedestrian crossing to be reviewed by the Traffic Committee upon completion of the construction to ensure that it still meets the necessary warrant. As part of the Boundary Road upgrades, it is proposed to signalise the intersection of Corona Avenue and the Pacific Highway. This will ensure that vehicles can leave Corona Avenue under protection of traffic signals and also means that pedestrians crossing Corona Avenue can do so with the assistance of pedestrian signals. Both are positive changes and are supported. The signalisation of Corona Avenue will however mean that 20m of “No Stopping” will need to be introduced on both sides of Corona Avenue on approach to the Pacific Highway. This change is also supported as it will improve safety for vehicles turning in and out of the street although it will result in the loss of three 1P parking spaces on the south side of Corona Avenue. These spaces provide for the short term parking needs of customers of commercial premises sited on the corner. Council Ssaff will be meeting with RMS consultants and Ku-Ring-Gai Council on Thursday 14 August to discuss options for re-siting of these 1P spaces further to the west in front of adjacent residential premises. RMS will be consulting with impacted premises prior to relocation of the 1P spaces. A paln of proposed changes can be viewed here . Clr. Saville has advised as follows: I can assure you that the consultants Traffic report re the Coolaroo, Greenfields, Dalrymple precinct has been finalised. The consultants have submitted the completed copy to council. While I do not have a copy I have seen it, but not had time to read it as yet. 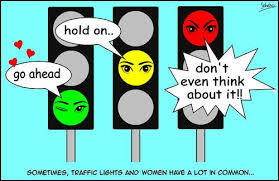 Paul Collings hopes to bring the report to the Traffic and Access committee Monday 1st September. Keep an eye on the Agenda which will be on councils website.